Microsoft is updating one of its oldest programs and might be working on a new operating system, Apple is upgrading most of its MacBook Pro line, and Sony is reportedly adding more cameras to its next smartphone... it's all here, courtesy of our friends at TechRadar. 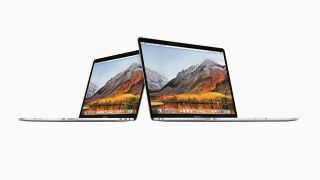 Apple has refreshed its line of MacBook Pros with the latest top-tier processors from Intel, throwing in more RAM and storage space into the bargain. Even better, it's kept the same starting price for both the 13.3-inch and 15.4-inch models. You can browse and buy the newly updated laptops now, direct from the Apple website – click below for more details. What's next for Sony's smartphones? Phone makers seem increasingly keen on stuffing as many cameras into their handsets as they possibly can, and a new tip-off from an insider source says the upcoming Sony Xperia XZ3 is going to feature four lenses – two on the front and two on the back. Given Sony's established mobile camera expertise, the flagship phone should be worth waiting for. LG hasn't launched a smartwatch for more than a year now, but we might not have much longer to wait for new ones: reports suggest two wearables are on the way before the end of July, with one of them called the LG Watch Timepiece. Apart from that, we don't know much about the watches, except they're both rumoured to be running Google's Wear OS. Windows may rule part of the computer world, but apparently Microsoft isn't satisfied with that, and is said to be busy working on a "next-generation" operating system with a focus on security. That's what a new press release from Synaptics says anyway, but for the time being it's not clear what Microsoft has in the pipeline – keep your eyes on this one. Is Microsoft busy working on a super-secure 'next-generation' operating system? Back to Microsoft's existing operating system, and the humble, dependable Notepad utility is actually getting some new features at long last. An upcoming update to Windows 10 will bring a wrap around function to search and replace, the ability to zoom in and out of text, and various other tweaks. It may not be much, but after all this time we'll certainly take it.